Students in Dr. Stephen Sweet’s Sociology of Work and Family course at Ithaca College were encouraged to write editorials on how work-family practices can make sense not only for working families, but also for employers. The blog posts in this “Millennial Voice” series were identified by their instructor and peers as offering strong cases for the business benefits of work-family practices. Each post is informed by 50 articles and book chapters read as part of class assignments, as well as an additional 20 articles independently researched by the authors. Links to relevant references offer additional exploration for interested readers. Today’s post was written by Evan Jones. Evan is a sophomore at Ithaca College pursuing a Bachelor of Arts in Psychology, with minors in Sociology and Sport and Exercise Psychology. There are many benefits an employee can reap from exercising, all of which will in turn create value for employers as well. First, physical activities are commonly known to be a stress-reducing. A 2009 study on the effects of exercise on stress in working women published in The Journal for Nurse Practitioners found that nearly one-third of Americans have chronic stress, and $250-billion in lost time can be attributed to stress each year. In many cases, stress can be linked to one’s work. Exercising has been proven to make employees work smarter, be more productive, and operate with higher efficiency. A Fast Company article cites research which found that adults who exercise raise their IQ scores by 3.8 points and are 15% more efficient when compared to those who do not exercise. Adults who exercise also possess a larger hippocampus, a part of the brain responsible for spatial and memory functions. An increase in self-efficacy following exercise can also help to explain these benefits, as employees who believe that they can accomplish a task, most often do so. Finally, employees who frequently exercise tend to be healthier, and therefore take fewer sick days, are less likely to go on work disability, and will have longer careers. However, while there are many benefits to exercising, the demands of both the work and family domains often cause employees to sacrifice exercising. The most common barriers to exercising have been found to be time and energy. In the workplace setting, time is the key factor. Employees simply need more time to exercise and often look to their employer to give them that time. The effects of negative work-to-family spillover have devastating consequences on one’s personal health, likely caused in part by a lack of physical activity. Flexible working arrangements, a practice that allows employees less restriction when it comes to where, when, and how much they work, have been found to combat negative work-to-family spillover and can also provide more opportunities for exercise among employees. The negative effects associated with the lack of exercise are best prevented by employers offering flexible work arrangements. Flexible work arrangements give employees more opportunities and time to engage in exercise. By offering flexible work arrangements, employees are able to more successfully manage their relationship between work and family, meaning that employees will experience less stress and improved happiness, and also live healthier lives. Improving the quality of work from their employees is an important aspect to an employer, which should encourage flexible work policies to be implemented by employers. Considering these options, employers can choose the most cost effective to save money. Giving employees a benefit that they want will also increase loyalty to the company. Employers who give gym membership benefits are also eligible to claim this benefit to receive a tax refund. Employers also have the option to provide time for exercise throughout the work day. For example, employers can advocate for walking meetings, using the stairs, or taking short breaks for light aerobic exercise at one’s desk to have their employees regain focus throughout the day. Although exercise boasts many great benefits and employers have many options for encouraging exercise, there are those who believe that employers should not promote exercise. Some people may consider exercise a leisure activity, and therefore believe that it should take place outside of the work domain. However, this alternative would cut into the family domain and create unwanted tensions between an employee and their family, as the employee would have to choose between exercising and spending time with their family. Others may be concerned that the cost of gym memberships or allowing employees to restructure their work schedules to accommodate exercise will have a negative impact on the company. However, from the benefits listed above regarding increased employee productivity, the return on investment would be greater than any costs. When the returns from employee exercise are combined with the flexibility of implementing benefits and flexible work schedules, the result is successful in both the work and family spheres. 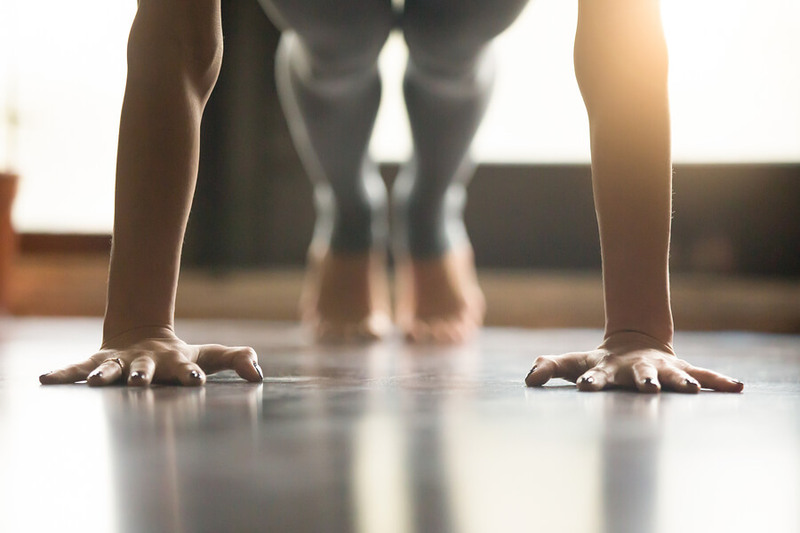 Employers in all sectors and companies can benefit from promoting exercise among their employees, and with multiple options for promotion, they will often possess the means to advocate for exercise. By improving employees’ capabilities and reducing the strain between work and family, exercise creates more effective and productive working environments. Students in Dr. Stephen Sweet’s Sociology of Work and Family course at Ithaca College were encouraged to write editorials on how job tensions affect families, and how work-family practices can make sense not only for working families, but also for employers. This is a very important article on a topic critical for employees and organizations to prioritize in the workplace. There are so many benefits to exercise, and as the article points out, a strong link between health and work performance. More organizations should be looking to create flexible and supportive work cultures to promote exercise and well being at work, and positively recognize managers who reward employees for taking time for exercise. Become one of the 1 Million for Work Flexibility! Help make work flexibility a core part of the 21st century workplace. Thank You for Supporting Work Flexibility!